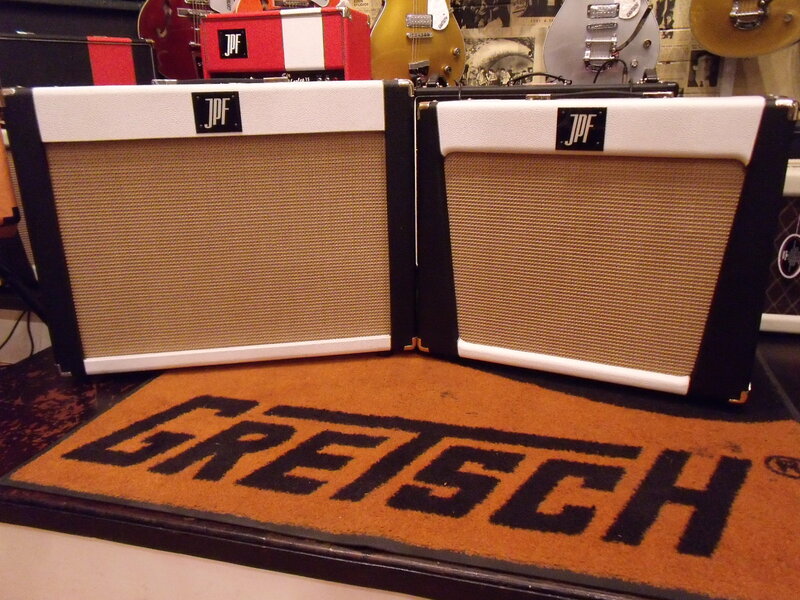 JPF Amplification London - Guitar, bass amp & effects pedal repairs. JPF Amplification operates out of Regent Sounds in London’s Denmark St. As well as building our own range of hand-wired amplifiers, we repair, service and modify all types of guitar and bass amp, and effects pedals. We also sell amplifier spares, including valves (or tubes if you’re from over the pond). We aim to provide a quality and affordable service. Initial investigation is FREE, and we have a very competitive £48/hr labour charge, and remember “no fix no fee” More about us. The Sir Charles 15 – a classic blues and country amp. The King Charles 30 – a rock amp with flavours from British Invasion sounds to AC/DC. The Regent 25 – amp powered by two Gold Lion Reissue KT66s. For more details go to our production amps products page. You can see and hear our fantastic amps in action by visiting our Media page. Read the review of our Sir Charles 15 combo in Guitar & Bass magazine. We specialise in repairing vintage and classic valve guitar amps (that’s tube amps to our US customers) including Fender, Marshall, Vox, Ampeg, Hiwatt, Gibson, Selmer, Orange, Laney, Matamp, Watkins, Wem, Sound City, Kelly, Traynor et cetera, but work on all types of amplifiers including modern valve amps such as Mesa Boogie and Peavey, and transistor amps such as Roland, Ashdown and Trace Elliot. Work undertaken includes: general amp repairs, servicing, preventative maintenance, recaps, re-valving, biasing, modifications (e.g. Blackface conversion for Fender Silverface amps), de-modification, restoration of vintage amps, portable appliance testing (PAT), kit amp assembly (e.g. Mojotone, Ceriatone etc), US/UK voltage conversion. We can also advise about speaker reconing, and loudspeakers upgrades. Visit our blog for examples of the type of work we do. We also can repair a wide variety of guitar and bass effects pedals by all the major brands, including BOSS, MXR, EH, Fulltone, Colorsound & Jim Dunlop, as well as “boutique” brands such as Lovetone, JAM, Love Pedal, Crowther, Lateral Sounds, Keeley, and RMC. We’ve also got extensive experience of working on vintage pedals, such as Fuzz Face and Colorsound. We have a fixed fee of £22 + parts for pedal repairs. Our long list of satisfied customers ranges from people who play at home purely for their own amusement, through dedicated weekend warriors to arena stars. Whether you are playing in your living room, the Dog and Duck, or the Emirates stadium, we can get your amps and effects in tip top condition. JPF AMPLIFICATION LTD Registered No. 05495618.